The following guest editorial was printed in the Spokesman-Review on Sunday, January 4, 2015, discussing conclusions from two recent reports evaluating the economics of the Columbia Basin and Yakima irrigation projects. The bottom line: eastern Washington farmers have not repaid even 10% of the portion of these projects that are allocated to agriculture (notwithstanding huge public subsidies). Future, concrete-intensive projects will fare no better. 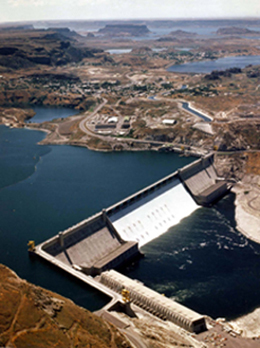 For more information about the questionable economics of eastern Washington irrigation projects, visit the CELP website and Naiads. And taxpayers, keep an eye on your wallet. John Osborn is a Spokane physician and conservationist with the Center for Environmental Law & Policy and the Sierra Club. See celp.org. Ken Hammond is retired professor and chairman of the department of geography at Central Washington University and has been active for decades in water planning. Categories: Water Economics, Western Water Law | Permalink.